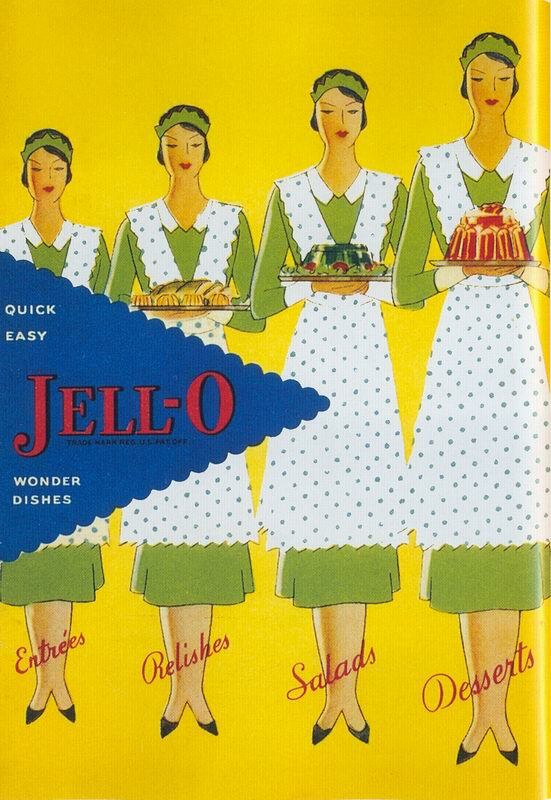 Jell-O 1930, originally uploaded by Ernie Uszniewicz. Click image for 551 x 800 size. 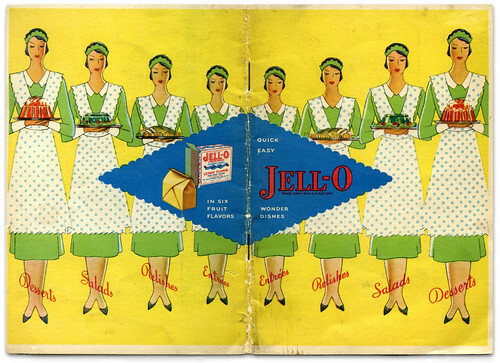 Scanned from "Kitchen Kitsch - Eat & Drink in America".